Check out these awesome and creative body paintings! Perfect inspiration for those mommies-to-be this Halloween season! The ultimate Star Wars mommy-to-be costume! This NBC one is a little intimidating! Great paint job though! Who doesn't love Garfield? I bet this baby sure does. Monster's Inc! So creative and great use of shape! 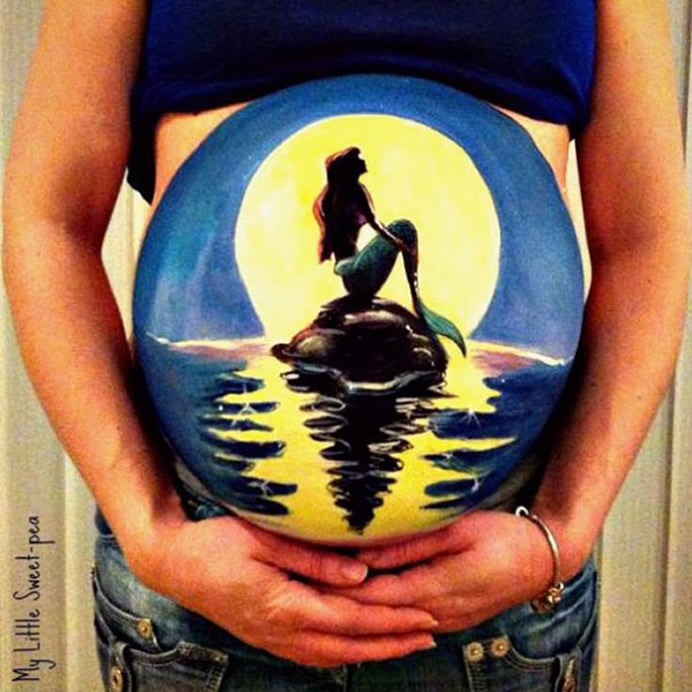 This baby can't wait to be part of that world! Gives another definition to the term "mothership." This had to have been daddy's idea. 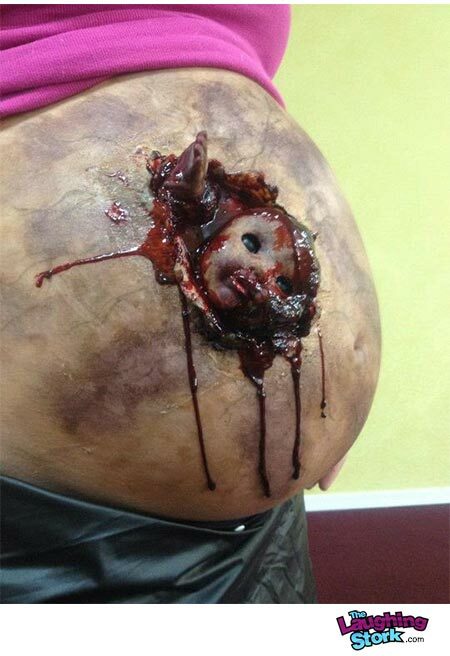 A little gory but great for those who like the blood and guts. Great paint job on this one! Very creative as well. Perfect for the gamers. Another Monster's Inc tummy! Quite the artist. As long as she doesn't dribble that. Up, up, and away with this one!